Hello, I am finally making time to write as I found this corner block in the mail the other day. I hope you enjoy seeing these. On Silver Hot Foil and showing Year of the Monkey, Rooster, Pig and Dog. 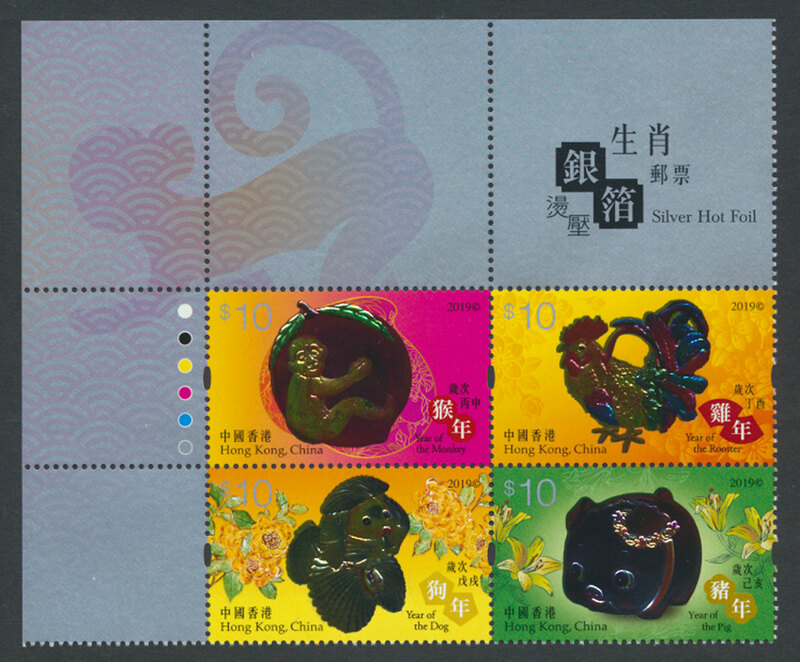 This set was issued by Hong Kong Post for the Year of the Pig.